Bible Answers to Questions: Someone told me that Jesus was coming back to the earth again and that I should "get ready". What did they mean by that? 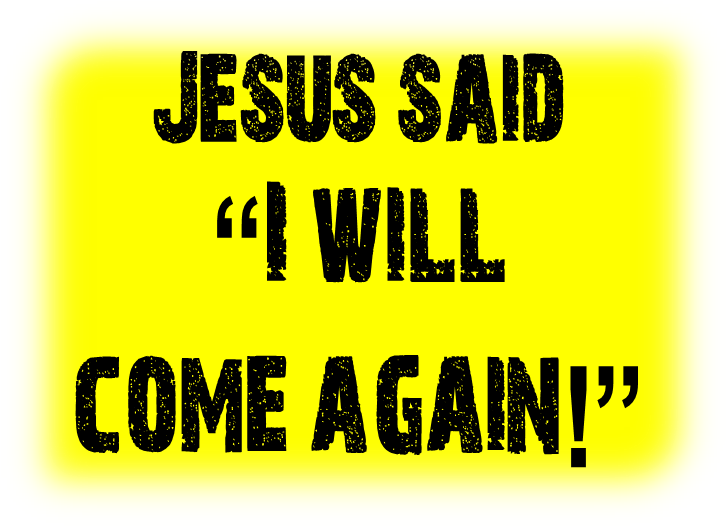 Someone told me that Jesus was coming back to the earth again and that I should "get ready". What did they mean by that? The Bible has many references to the return of Christ. One out of thirty verses mention either the subject of Christ's return or the end of time as we know it. Of the 2000 chapters in the New Testament, there are over 300 references to the return of Christ. Christ spoke often of his return as in Matthew 24:44"Therefore be ye also ready: for in such an hour as ye think not the Son of man cometh." Also in John 14:3 "And if I go and prepare a place for you, I will come again, and receive you unto myself; that where I am, there ye may be also." We are also told that Jesus will come "as a thief in the night". All this means to us is that we need to be ready. Don't expect to make your decision then, because your opportunity to get ready is NOW!! You must trust Christ because of His crucifixion death and resurrection from the dead to be "saved". Then you can rejoice that you are a child of God and can look with anticipation for Jesus' return for His children.